I received my marks back for my first exam – so, my cutie patoot sister wanted to celebrate ☺. 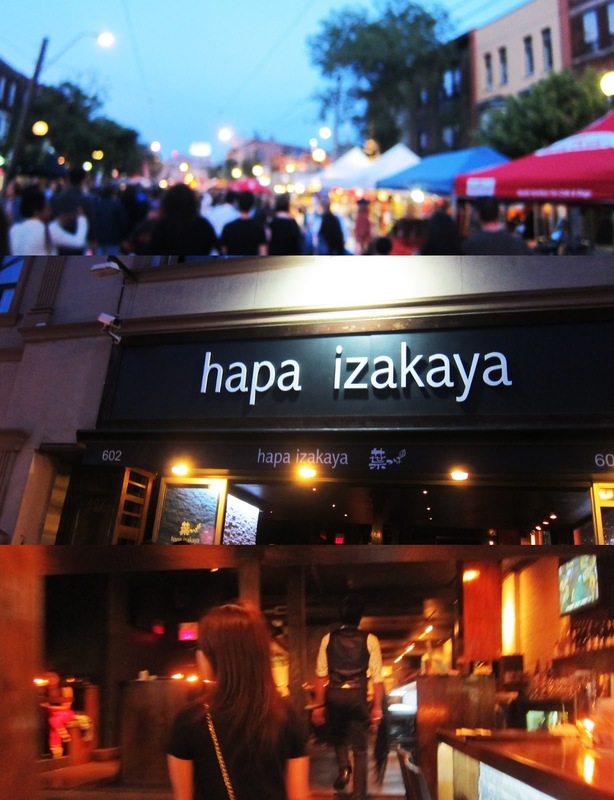 Reservations for Hapa Izakaya in Little Italy at 8pm, we entered the blocked off street, there was a festival going on! A few food stalls, games and promotion tables, we were tempted to try one of the food stalls but knew that our appetite would have been ruined for dinner, so my sister and I rushed through to crowd to get to Hapa Izakaya, boy were we hungry! 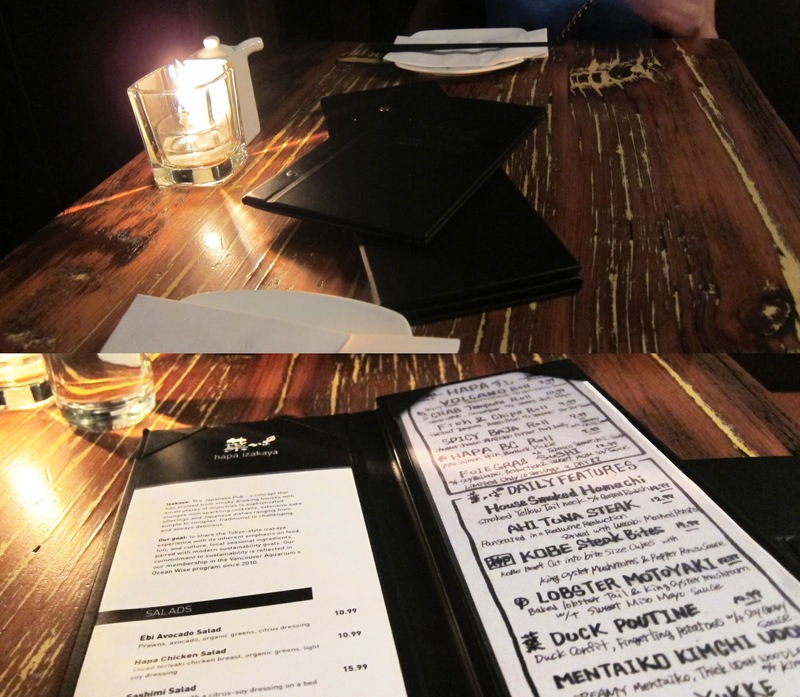 Entering a dim-lighted restaurant, it had a comfortable feel. We were led to our table towards the back of the restaurant. Ordering time! I love the menu. The uniform theme of the servers in the restaurant were questionable – I wasn’t sure what they were trying to look like, they resembled Japanese minions of Lara Croft. To start off, we ordered two margaritas – I don’t think I’ve ever had a margarita before. Canada is all-days introducing to me to new things! 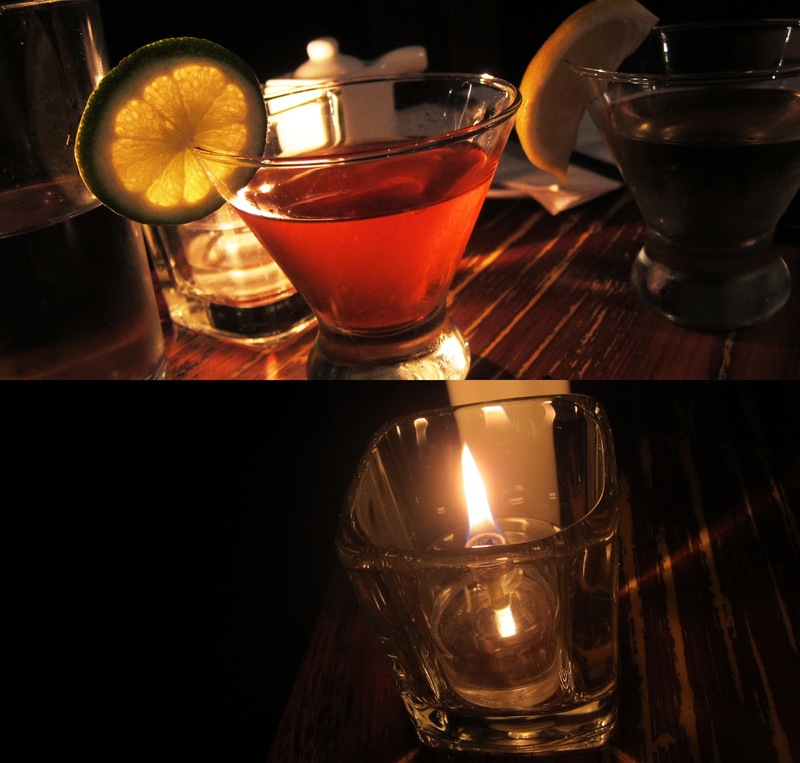 – A single lit candle to the left of us, cute! I ordered this cosmo! If anyone knows me, I love absolut vodka! Even though it’s incredibly cringe worthy, it’s awesome – so having a bit of absolut mandrin in there for me was a definite order! We then proceeded to order five dishes between the two of us. This Ebi Mayo was like nothing I’ve ever tried – It was sticky, crunchy and slightly sweet and tangy. The plop of raw tuna in the center is to be spread over the slices of garlic bread – this was okay, nothing too special, ‘meh’ flavours I’m sure they could have paired it with better, softer, non-stale bread. Below is the raw tuna spread over the stale-ish bread. Now this is a MUST try. Delicate, deliciously baked seasoned fish. I loved it, it came in such a small portion though (double the size shown, I don’t know what happened to my previous picttures of it before we dug in). 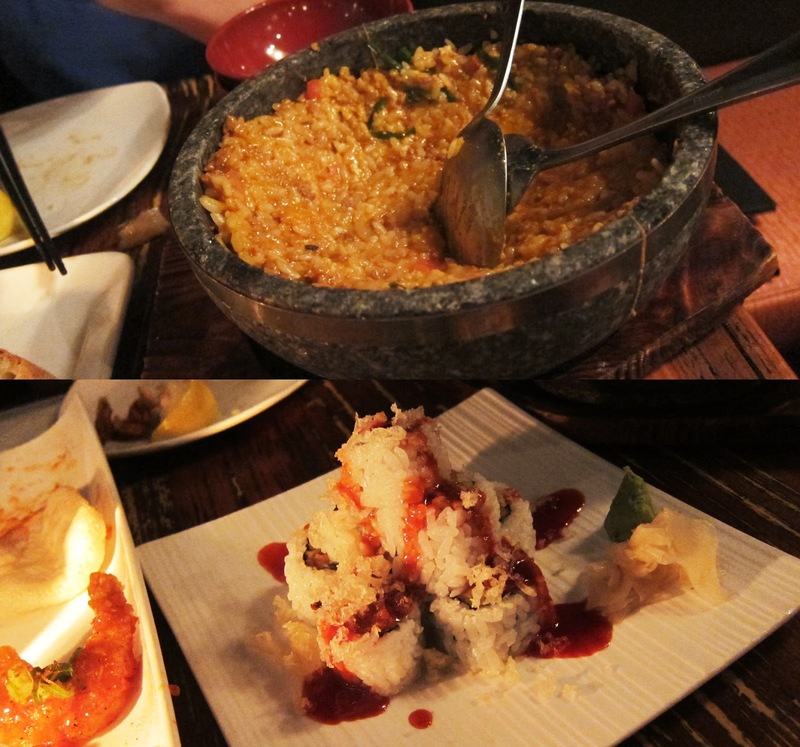 My first hot stone bowl rice dish I’ve tried – nothing special. Simply tasted like rice mixed with leftovers. They weren’t kidding when they said spicy sauce – the crunchy tempura bits were nice touches, but all together, this wasn’t a very nice dish. Surprisingly, once again, nothing special. C’mon you’re a Japanese restaurant! You should be acing your sushi rolls. I’ve only ever tried filtered sake. It came chilled in an iced container. 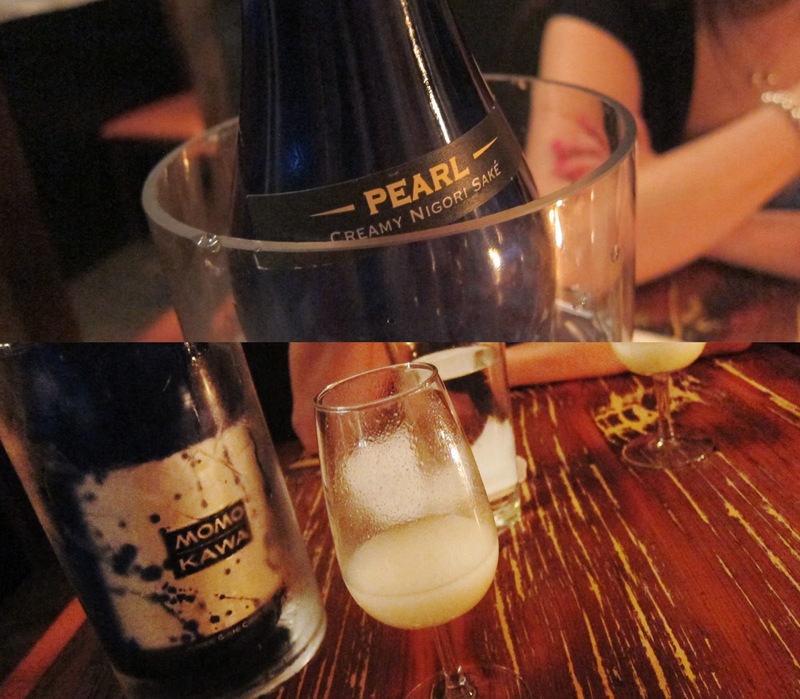 This was way better filtered sake! It went down a lot smoother and had fruity accents at the same time. Overall, I had a good time with my sister. If I came back to this restaurant, I don’t know what else I would try. 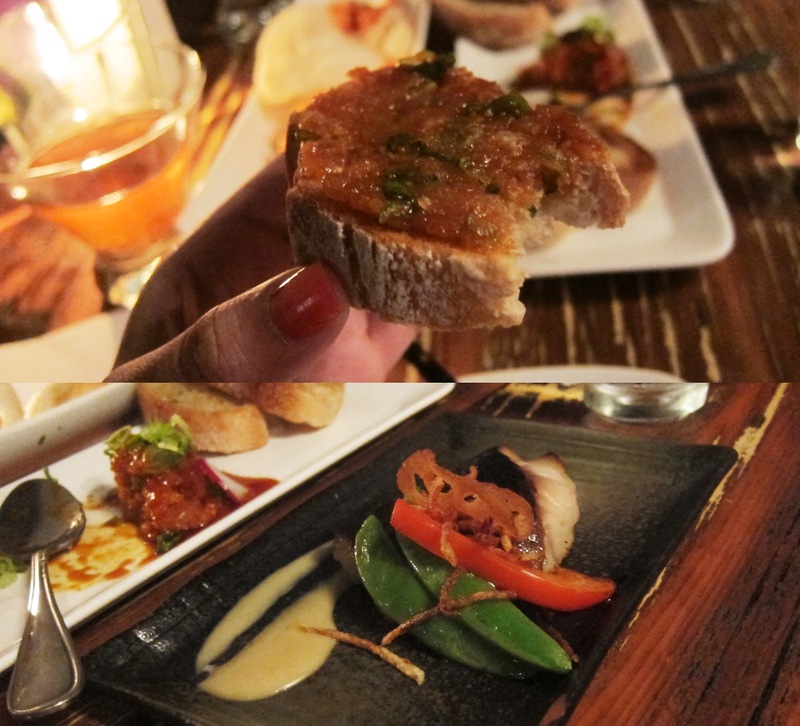 I would definitely reorder the Gindara – it was amazing! 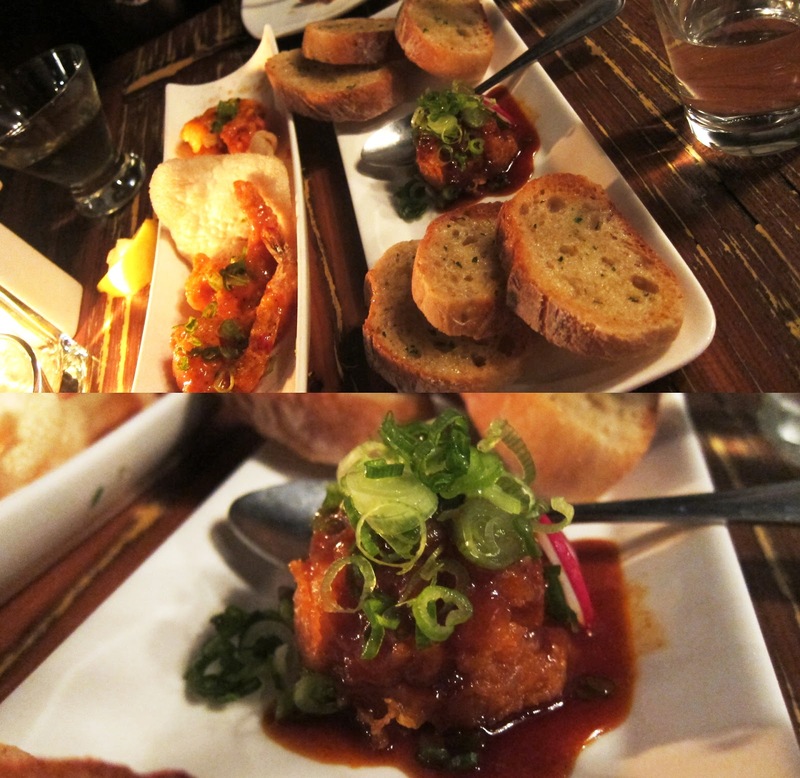 Everything else was okay – average and overpriced. And I’m sure I can get that bottle of sake at another Japanese restaurant. You guys are fancy schmancy. U are invited to be fancy schmancy with us also.